Home > Uncategorized	> Stewardship – For Whom? Public Parks or Private Lands? Stewardship – For Whom? Public Parks or Private Lands? weeds grow at restroom at Bulls Island SP – park is still closed. Saturday was a glorious fall day, so the dog and I set out for our favorite walks in the woods along the Delaware River: Bulls Island, D&R Canal State Park, Washington Crossing State Park, & Baldpate Mountain (a Mercer County Park purchased in part with State Green Acres funds). As the Director of the NJ State Park Service now coping with the reality that our entire Parks capital budget will be completely eliminated beginning July 1, 2015 as a result of the YES vote I can say this is the darkest day I have faced in my professional career. Worse than Superstorm Sandy. As I walked, I saw multiple examples of the $400 million backlog in deferred State Parks maintenance. 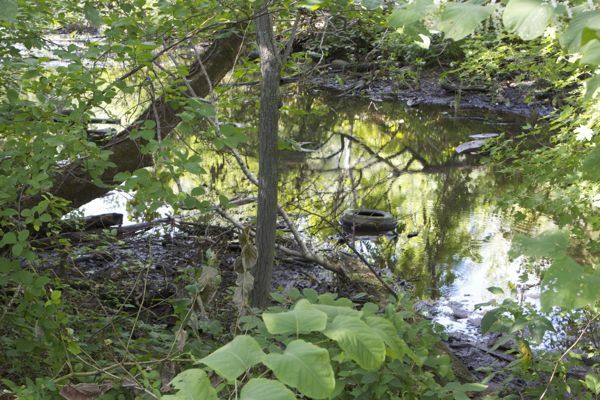 I became even more agitated in recalling the testimony of NJ Audubon CEO Eric Stiles supporting the Open Space diversion – he was the only person to focus on the “stewardship” issue. This strong measure makes me think about the birth of my fist daughter. It was a difficult birth, and after she came I thought the hard work was done. When you buy land, you’ve done the easy part. The hard part is taking care of that land through the stewardship. ….. If you buy the land and walk away, the water quality degrades, there’s no infrastructure for people to hike and fish. There not necessarily even safe. The wildlife, the forests suffer. When we look at the devastating impacts of hurricane Sandy and the emergency response the resilience, most of that is stewardship. Its how do we invest in these areas to make them increasingly resilient? To help protect against floods. To make these safe and accessible. So the one provision that we haven’t heard testimony about today, which we strongly support, are the stewardship funds. All you need to do is that would you as a landowner buy a home with land, and walk away without making continued investments? Its not different for the forests, the waterways, and the farms we are seeking to preserve. Perhaps Mrs. Stiles might take exception to the “difficult birth” – given that she did all the work? Call the midwife! But, getting back to the merits, I don’t see how it could be more clear. Mr. Stiles is solely interested in stewardship of private lands under control of Audubon. Mr. Stiles’ approach is similar to the proponents of Charter Schools. They seek to channel public funds to the private sector and don’t care about the public schools system or education of all the children. They don’t care that the private interests they serve effectively dismantle the public sphere and collective values. They benefit financially and politically from the competitive divide and conquer chaos they create in a community, as parents compete with each other and attack the “dysfunctional” public school system. In fact, transferring public money to Wall Street, defunding and shrinking the public sector, and disempowering public employee unions is the strategic goal – the Charter School itself is just the trojan horse. Of course, those schools will help accelerate racist gentrification, as private Charter schools become the anchors of redevelopment schemes and real estate speculation. Audubon’s Stiles doesn’t care about the public sector: the DEP science, planning, and regulatory programs and professionals that protect water quality. He was willing to steal $30 million a year from them and force deep program cuts and/or layoffs. Stiles doesn’t seem to care about the competition and divisiveness in the environmental community he created in his rob Peter to pay Paul scheme. He doesn’t care about “stewardship” of public lands and parks and was willing to steal $32 million dedicated to State Parks capital improvements, including addressing a $400 million backlog of deferred maintenance. All of that is now Director Texel’s problem, not Mr. Stiles’. 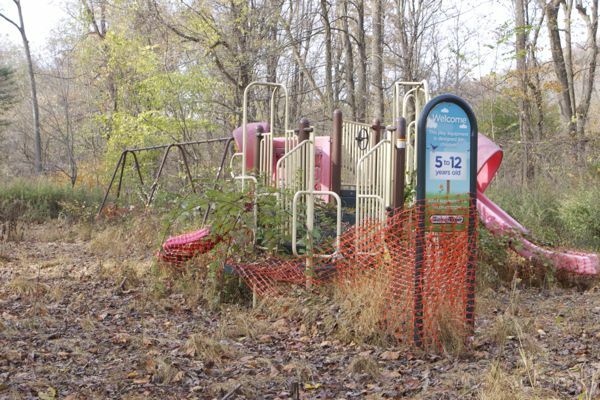 playground at Bulls Island SP – not safe, not accessible. Does Mr. Stiles bring his kids here? I have. 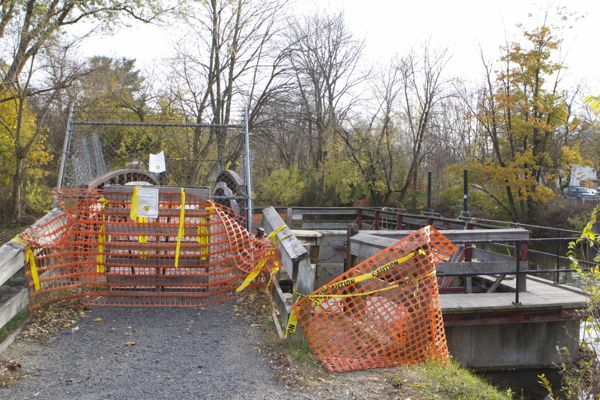 D&R Canal SP – trail closed, bridge over Swan Creek closed indefinitely. Just one of scores of crumbling water infrastructure in the Park. 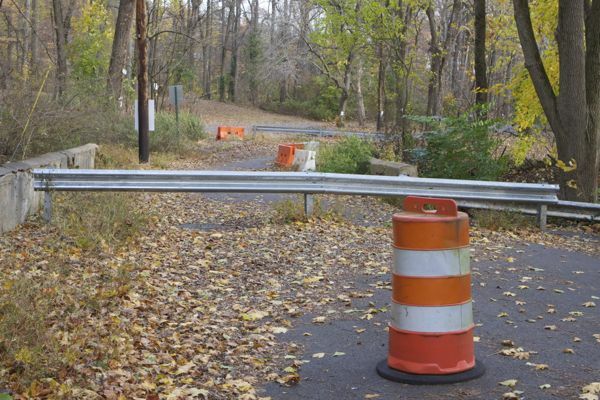 Washington Crossing SP – bridge out. 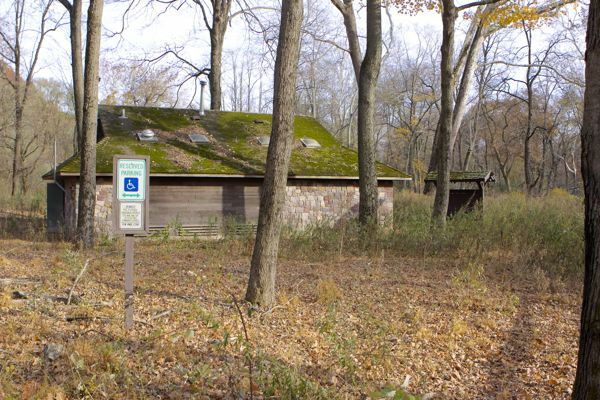 The picnic tables, fireplaces, bathrooms are crumbling. 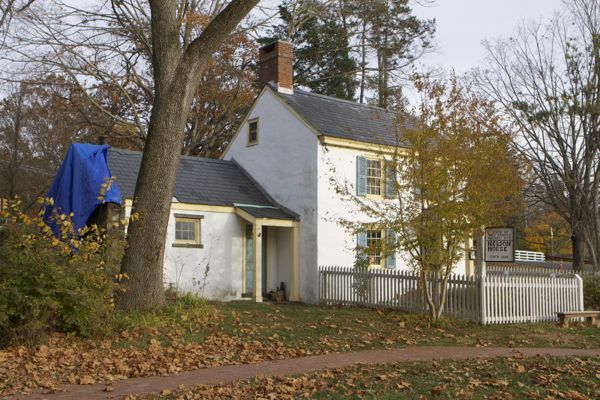 Washington Crossing SP – historic buildings crumbling. 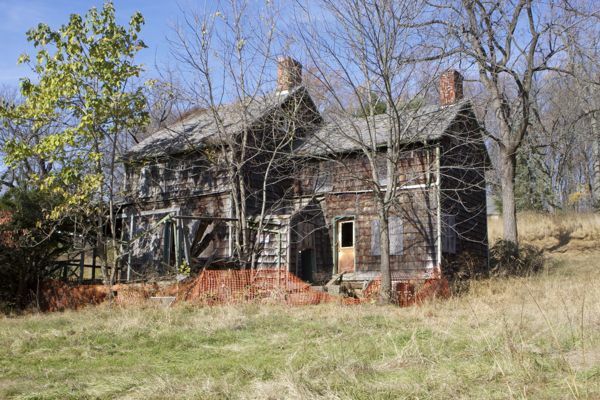 Baldpate Mountain – historic outbuildings crumble. They are not safe or accessible. What’s Up With The Baldpate Mountain Reforestation Project? Ballot Politics – Why Was The Climate Ballot Question Abandoned?